In many ways, we plan our lives around how we're going to get places. Transportation affects all of us in ways both obvious and almost invisible. 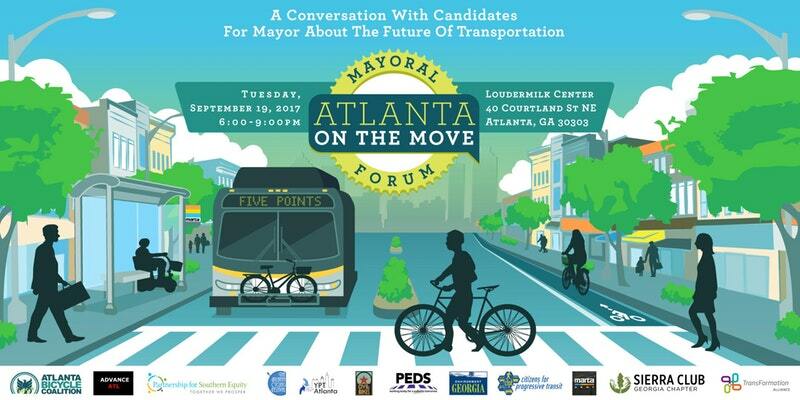 Yet with so many candidates for mayor of our city this year, you might not have heard where they stand on the future of transportation in Atlanta, especially transit, walking, and biking. That's why a coalition of advocacy groups working to increase transportation options is hosting this forum, dedicated to walking, biking, and access to transit!